Brad Pettitt's very own blog. Oxfam is now helping more than half a million people across Syria, Jordan and Lebanon, but the crisis continues to escalate. One of the most bitterly cold winters in the Middle East in decades has now hit hard, pushing Syrian children and families into an even more vulnerable situation. Your donation can deliver essential supplies like fuel, blankets and stoves to children and families. The worst of winter is yet to come. Please donate today. In July 2013, the City of Fremantle commenced its unique food vehicle licence trial which objectives are to identify underutilised public spaces in the community and make them available to diverse food vehicle businesses that offer culturally unique, healthy, fresh, high quality, safe and reasonably priced food. A trial licence was developed to allow a number of food trucks and other food vehicles to operate outside organised markets and/or events by allocation alternative locations including parks, reserves and car parks. The objective of running this trial is not only to bring temporary amenity to an area that not often has the opportunity to see different type of activity but to give the opportunity to small businesses to develop and grow and to diversify Fremantle’s consumer driven activities. Nine (9) trading locations were initially identified for approved unique food vehicles with two (2) removed and five (5) locations added during the trial period. These locations are parks or reserves where there are few existing businesses of a similar nature. Please join the Fremantle Network, Fremantle Chamber and Bendigo Community Bank at the Art Centre’s wonderful courtyard for a casual evening of refreshment and conversation, including an opportunity to hear briefly from two notable individuals and their important contribution to our community. GRIFF LONGLEY, CEO of Nature Play WA & widely read West columnist. Nature Plays advocates the importance of vibrant and unstructured play for our young. Equally important Griff will speak on his passion, the successful Midnight Basketball program in Midland. He believes the program could be very beneficial for “youth at risk” in greater Fremantle. MARION FULKER is the CEO of the Committee for Perth – a member funded think tank focused on maintaining and improving the liveability of the Metropolitan region, by ensuring Perth retains its unique vibrancy, prosperity and cultural diversity. The Property Council had a conference in Perth today on Multi-Unit Residential Development which I was invited to speak at. One of the interesting statistics is that in Perth there are three new houses been built for every one new apartment. In comparison in Sydney they are building two new apartments for every one new house. The impacts on suburban sprawl are obvious. 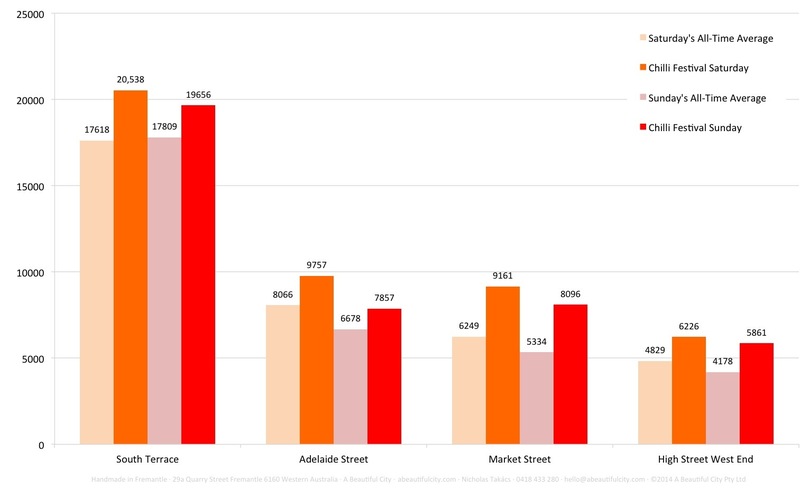 A key message was that historically Perth has either built cheap apartments that were often cheap social housing (ie Johnstone Crt) or really expensive apartments for millionaires (ie Leighton apartments) but little in between for people on average incomes. But this is starting to change now as demands for apartments grow across Perth. Also changing is an increased focus on more sustainable design through water and energy efficiency. Councils like Fremantle that have offered extra height incentives for more energy efficient buildings were congratulated. I had the pleasure of helping judge this Gen Y housing competition for a block near Freo. It was really inspiring seeing housing with affordability , adaptability and sustainabilty designed so well. Below is how the ABC wrote it up. Imagine a building that can transform from three one-bedroom apartments into a family home depending on the needs of the occupants. 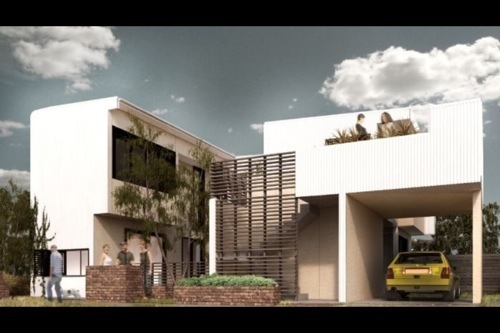 This was the idea Perth architect David Barr brought to the winning entry in a WA competition, held by Landcorp, that challenged architects aged 37 or younger to produce affordable designs that appealed to young home buyers. Mr Barr’s concept also considered the needs of families that grew or shrank over time, incorporating three one-bedroom apartments on a 250 square metre block at a total cost of $500,000. Two of the apartments could be combined to create a larger family home, if desired. “The approach that we took in our design was to have three separate dwellings which one person can own and occupy entirely,” David Barr told 720 ABC Mornings. “They are small but they include a bedroom, bathroom, kitchen, living/dining area and an outdoor courtyard. “Affordability is the main issue in our strategy, and keeping things small. The design also used cheap and basic building methods, which the owners could later enhance. “The affordability comes in through keeping a really raw, liveable shell, so that incrementally you can add to, when time and money permit, in your own part of the house,” Mr Barr said. “People can paint, add skirting and cornices, built in furniture. The design will be built at a Landcorp housing development in White Gum Valley near Freo. Some more beautiful data on people movements the recent Chilli Festival. Compared to their long term averages, this is how Saturday 8th and Sunday 9th March performed. Fremantle resident Mike Pauly will be walking solo unaided around Australia to raise funds for Men’s Mental Health and Arthritis Research. Hi s walk will started in March 2014 from Fremantle and is estimated to take 15 months, completing his journey back in Fremantle to finish July 2015. Along the way Mike will be stopping at many towns and schools to promote how arthritis conditions can be managed through good exercise and a healthy raw food diet. I do not cook food for the entire length of the journey meaning I need not light any fires. He is also raising money for the Fremantle Men Shed and Arthritis Australia to aid in Men’s Mental Health and combating Arthritis within Australia respectively.